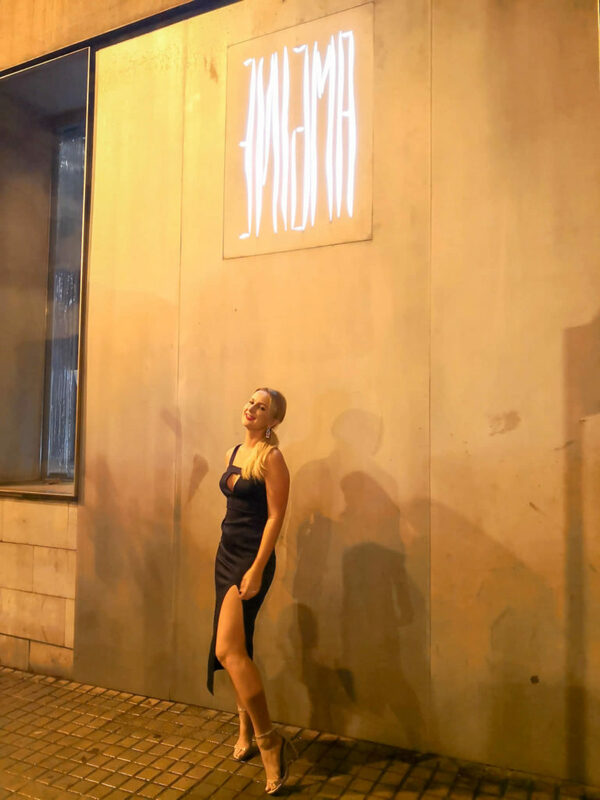 This post will ruin the enigma surrounding Barcelona’s most secretive restaurant, Enigma. That’s a straight warning. If you don’t want to know what goes on behind the coded door and experience it for yourself, click out of this post. Albert Adrià is a name I knew nothing about until I wanted a table for two at Tickets. The name seemed to follow me as I searched for the best restaurants in Barcelona. Imagine my horror when the concierge at The Arts Hotel informed me that even he couldn’t get me two seats at one of the hottest restaurants in the world, two weeks before I even stepped foot in the country? I was offended. 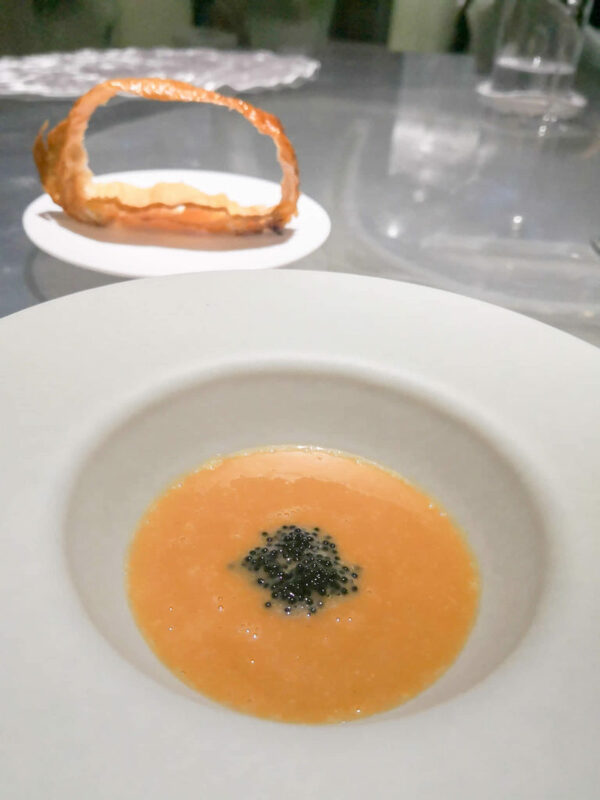 I resumed my quest to build a list of restaurants to visit while staying in Barcelona for a week and came across Enigma, another gem by star Chef, Albert Adrià who under the elBarri umbrella, has six top restaurants, four of which have a Michelin star. Enigma is one of them. 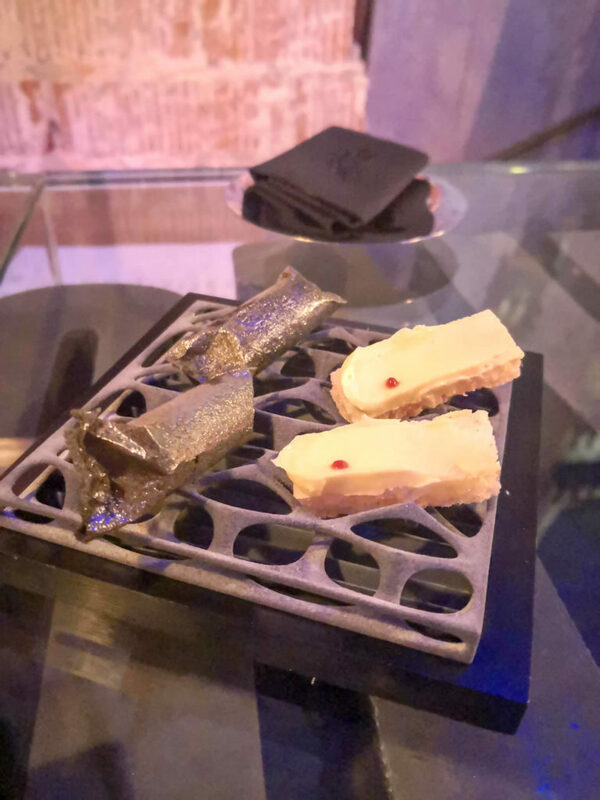 Enigma is a little different to your ordinary restaurant mainly because up until recently, images of the 40 courses were difficult to find online. The restaurant had a no pictures policy. Thinking that I had to adhere to this, I kindly asked the waitstaff if there was any possibility of being able to take a few pictures for my blog, they insisted that they’d lifted that rule and I was free to take as many pictures and videos of my experience. Enigma requires you to book online and pay a 100€ deposit per person. The entire experience costs 220€ per person, not including drinks. Sounds like a lot but think about it, you’ll have caviar, lobster, white truffle, foie gras and wagyu beef over the course of 4 hours. After paying the deposit, you’ll receive a code in the confirmation email. This is the code you type at the door at the allocated time of arrival. So secretive, so mysterious… places like this don’t exist in Croatia so I was super excited to finally be somewhere that legitimately kept the freeloader influencers out. 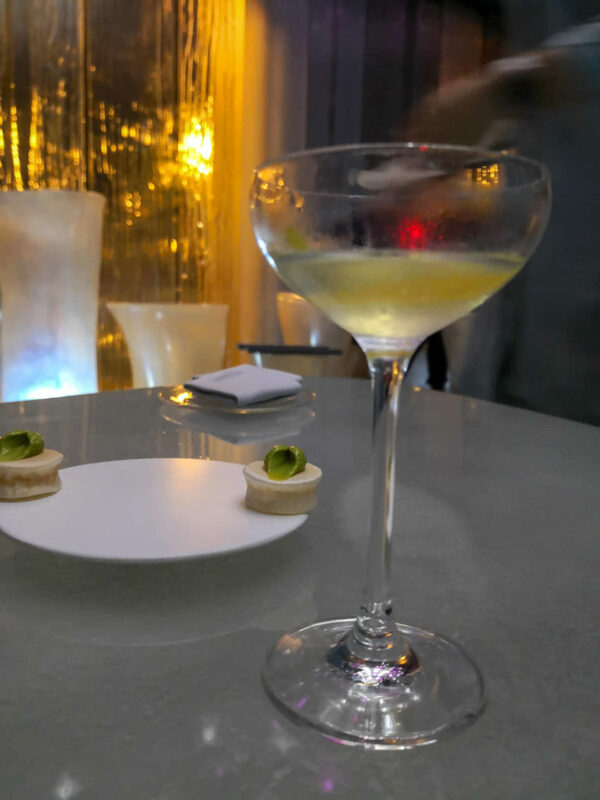 A few days before our reservation, I received an email asking for more information about the non-alcoholic menu that we’d requested, keeping in mind fancy food can mean some kind of alcoholic fusion or intricate alcoholic beverage pairing. I mentioned that if any dishes have alcohol, as long as it’s cooked through, it’s fine. I honestly hate being fussy about that but I really need to emphasise it. 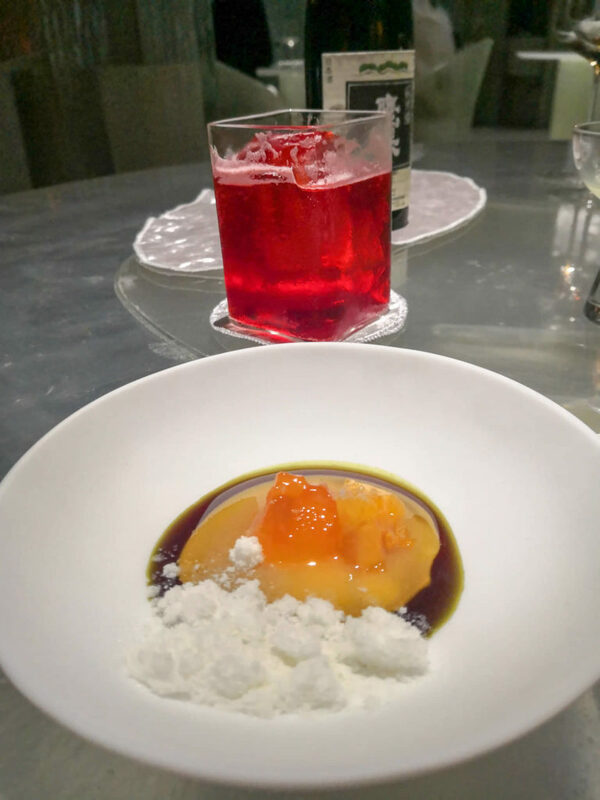 The staff at Enigma were super cooperative and professional about my sober menu which I really appreciated. The second we walked in, a lovely young girl greeted us and literally said, “you made it!” as she took away our coats. It was this kind of attention to detail that really put the customer service on another level. By the way, what she meant by that statement was that we made it on time. Following a freak storm that had hit Barcelona as we were arriving, our plane was late, the streets full of traffic, a 12 minute taxi ride literally took 70 minutes to Hotel Arts. We were running late and rescheduled dinner from 830pm to an hour later, hoping that it would be ok, otherwise we’d have to forfeit our deposit and still pay the remaining 110€ per person. For a place that has every reason to be obnoxious and intimidating, Enigma is far from it. 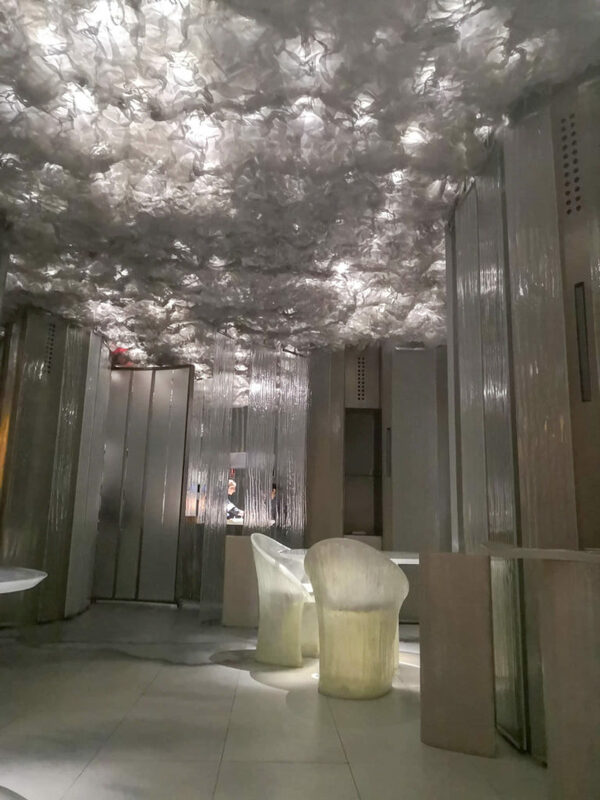 Although futuristic in interior, it’s warm, inviting and tickles your curiosity. 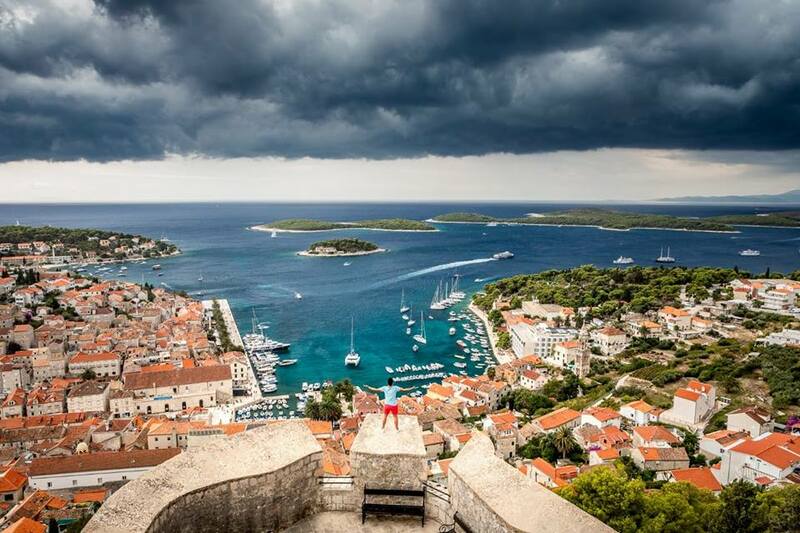 Like I said, places like this don’t exist in Croatia. 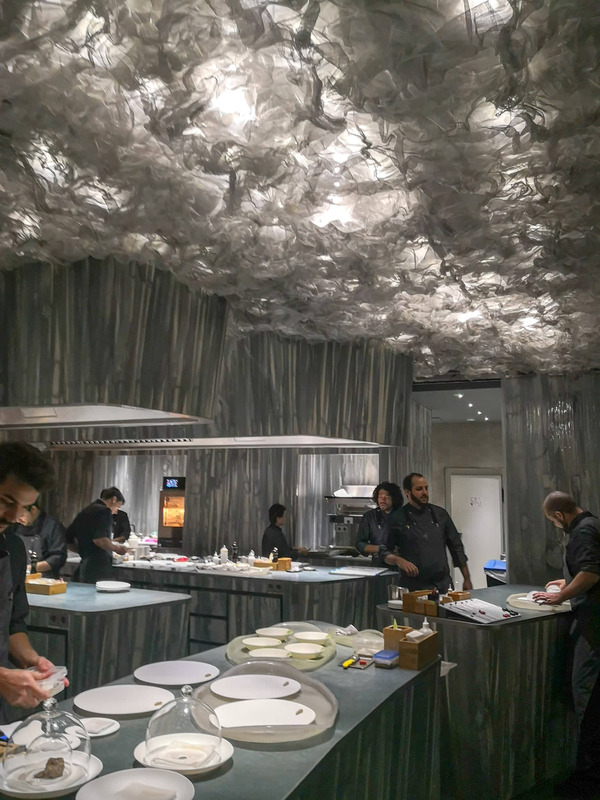 Enigma is divided into seven separate rooms and only 24 diners are allowed at a time. We begin in the lobby area that poses as the holding area before the entire experimental experience is underway. 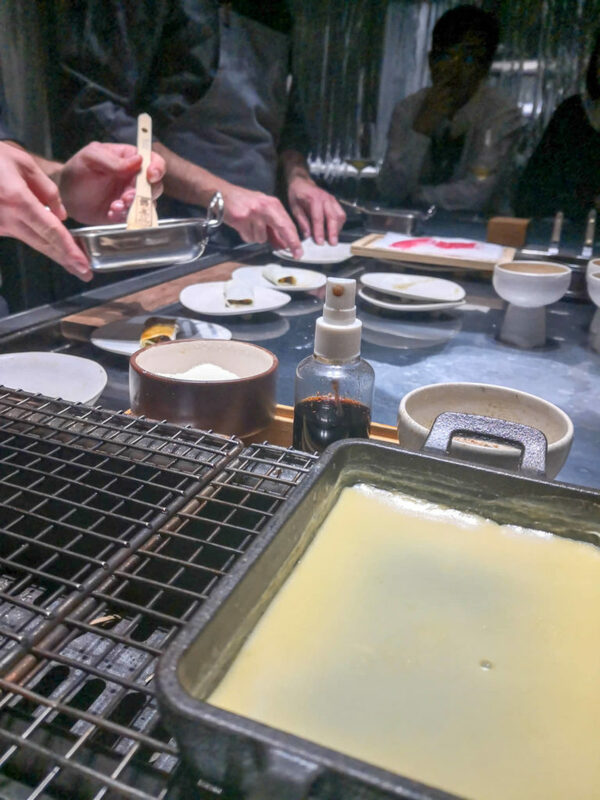 Within 15 minutes, we are guided into a fairly casual room and over the course of the next 30minutes, are given 6 canapé style dishes to try. Most of which are created with variations of pistachio. 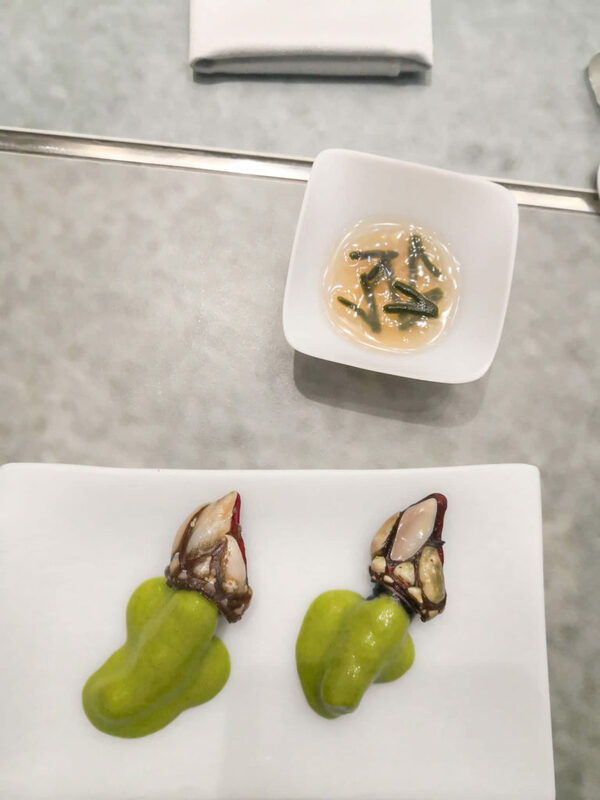 Each dish is encouraged to be eaten in one bite. NOTE: I won’t post or talk about every single meal, I’ll retain some enigma. Another member of the waitstaff arrives to talk us through the pairing of the drinks menu. Obviously they are aware of my sobriety and I go with the sober option which actually surprised me. Considering there are at least 50 staff members on the floor during the experience, not one didn’t know that I wasn’t allowed to drink alcohol, they always had the non-alcoholic option ready for me. It was really impressive and non invasive as I often feel in Croatia some places don’t respect when I say “No Alcohol.” The alcohol pairing menu starts from 90€. From memory the non alcoholic was about 60€. It was extremely well thought out and Luka later mentioned that he actually preferred my non-alcoholic drinks menu over his alcohol pairing. 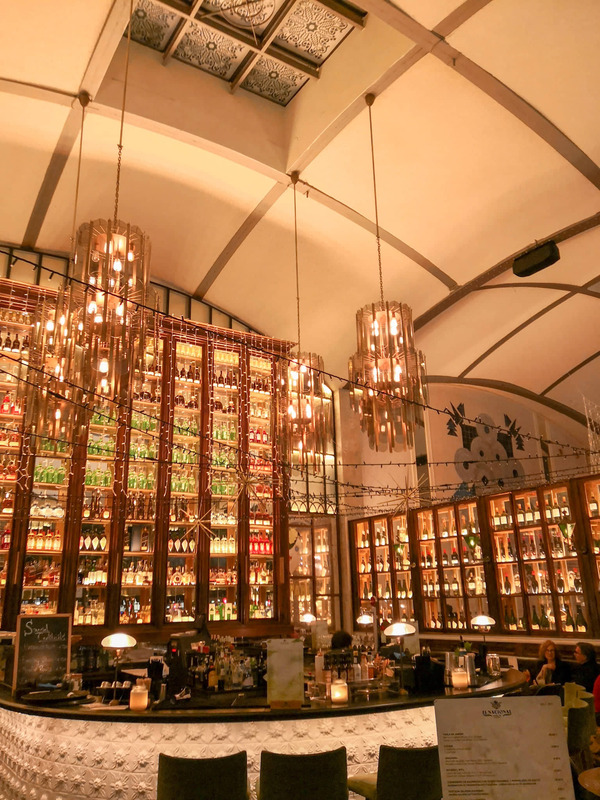 Once we selected our drinks pairing, we were off to the next room, the seafood bar, “La Barra.” We’re seated beside the chef at what resembles a hit bar, another couple a few dishes ahead of us look quite pleased with all they’ve been sampling. “This is baby eel and caviar..” our personal chef tells us as she passes over the plates. 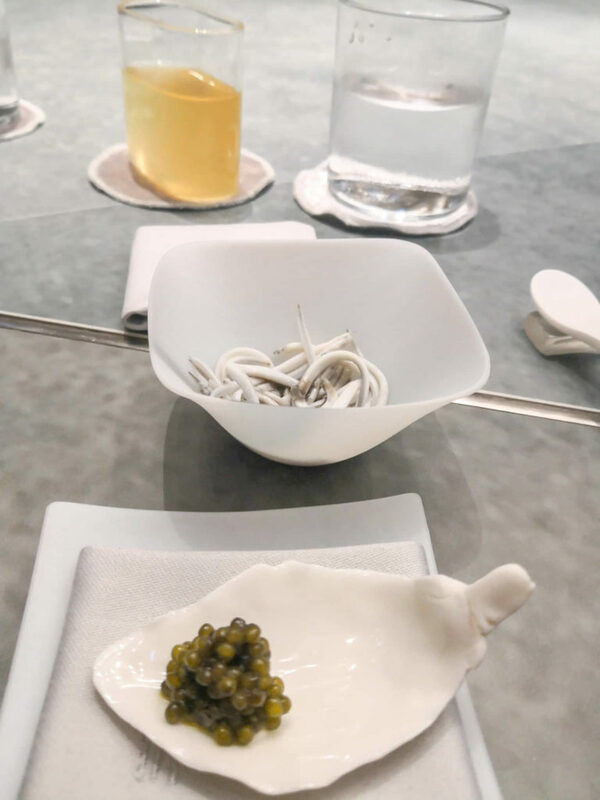 Forget the caviar, I’ve never seen baby eel in my life… can I really eat this? YOLO. I eat it and I don’t die. If I ate that blind folded with no knowledge of what it was I probably would have liked it and asked for more. After 4 dishes at the seafood bar, we’re whisked to the next room. 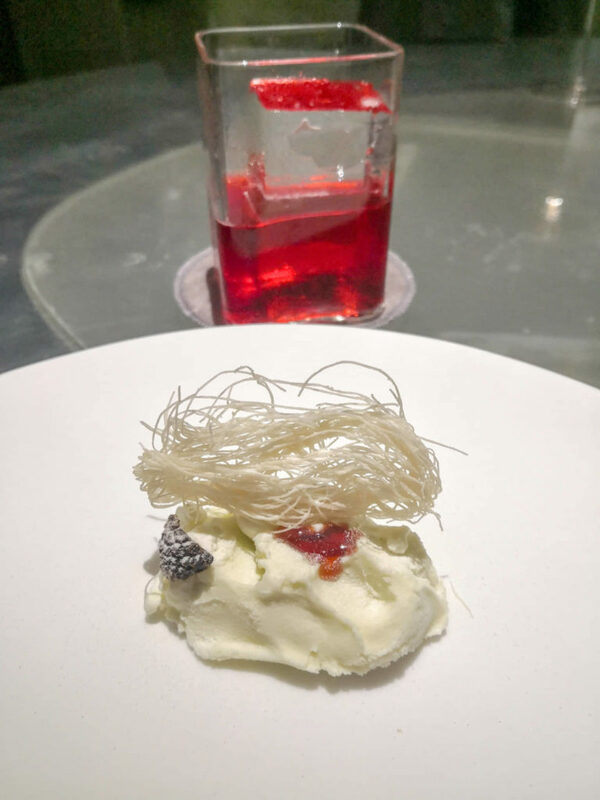 While walking past the open plan kitchen, chefs greet you and say, “hello enjoy your evening,” very similar to Pelegrini Restaurant in Sibenik, one of the top 5 best restaurants in Croatia, in my honest and humble opinion. It’s a very relaxed and casual setting with some super serious food. The next room is the main dinner room were you spend the most of your time throughout the Enigma experience. In this section we’re told that we’ll find out what we just ate after finishing our meal. This is not the type of thing I want to hear because out of habit, I tend to be reluctant to try certain dishes because they sound off putting. I literally am a chefs worst nightmare, fussy and picky. Well, not tonight at Enigma, I’m brave and ambitious. I won’t ask any questions, I’ll just eat and deal with it later. My least favourite meal from this whole experience was the pigeon pâté, or pigeon pašteta as I called it followed by pigeon tartar. I literally had one of this ‘W-T-F did i just put in my mouth‘ moments and wholeheartedly believe pigeons belong on top of buildings and not your dinner plate. 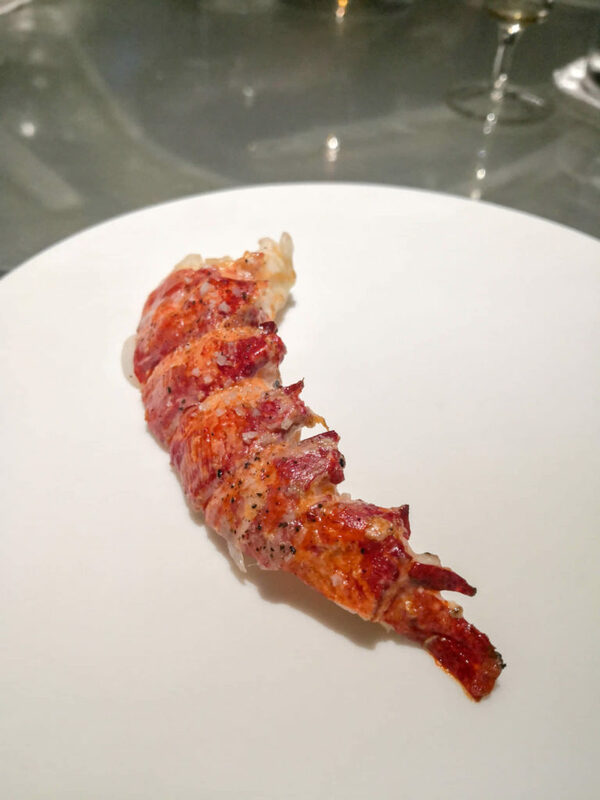 The winner was the cured lobster. Is it possible to return and only order this a thousand times over? 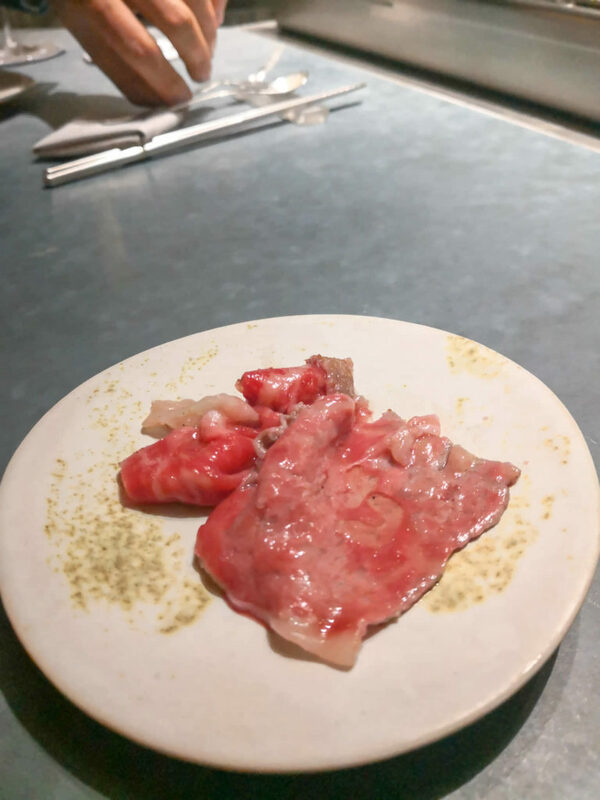 I still think about this dish daily and can still feel the salt crackling in my mouth, every second bite. Half way through dinner in the main section, we’re moved to another room that looks like a teppanyaki bar. Two chefs carefully prepare out next 4 courses. We chat casually as he explains what he’s making for us. Everything is informal yet so so professional. 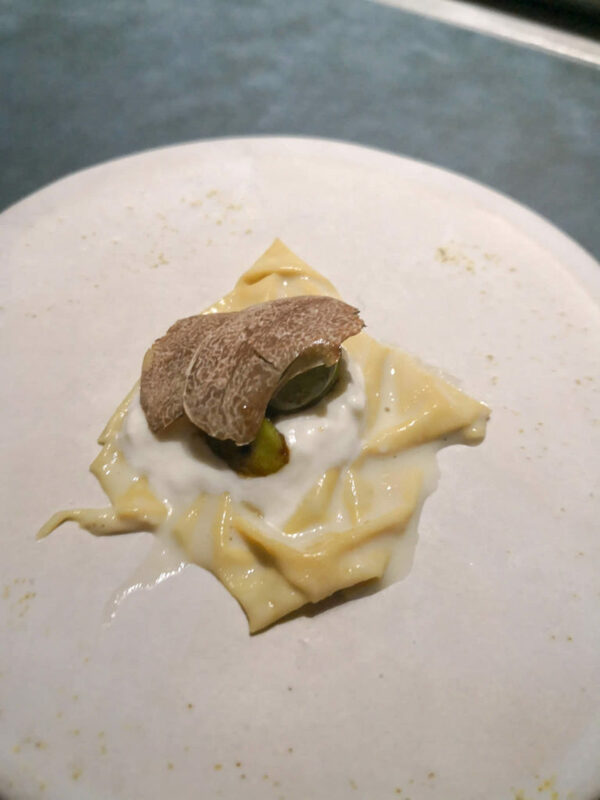 Yep, that’s white truffle below. After four delicious dishes at the teppanyaki bar, we say goodbye to our cool chef and find ourselves back in the main dining room. 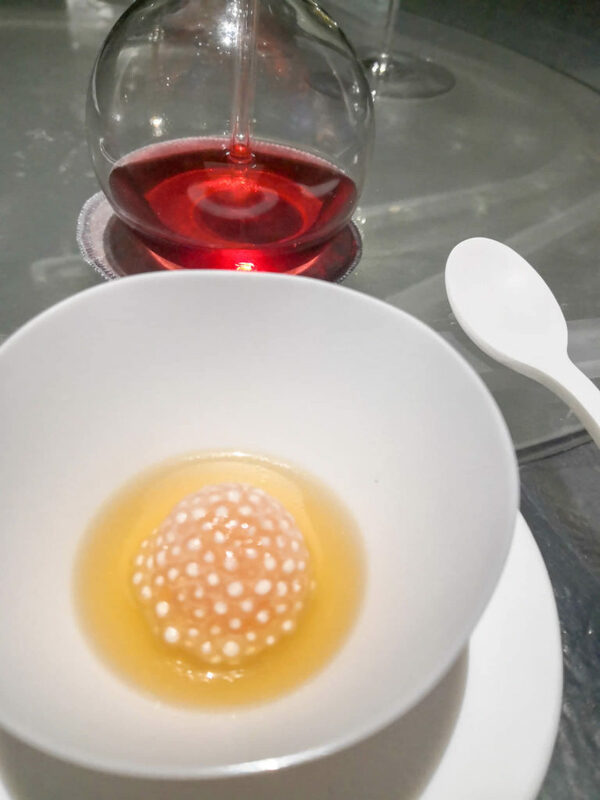 The meal below looks intriguing and no it wasn’t some type of freaky fish eggs. The desserts were amazing, very clever and different to anything I’d tried before. 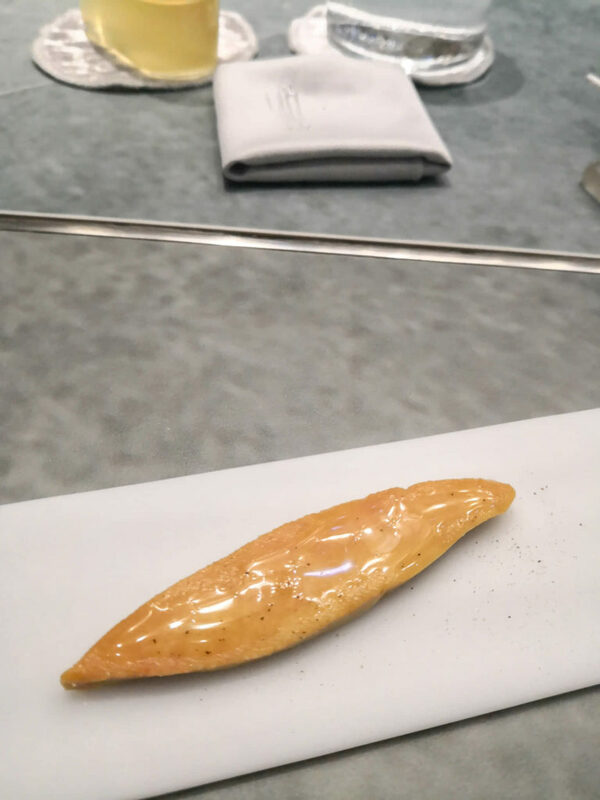 One dessert, that I didn’t take a photo of was literally banana & foie gras. What a combination and lucky they told me afterwards because I highly doubt I would have tried it with knowledge of what it was beforehand. Moral of the story? Don’t judge a meal before you’ve tried it. 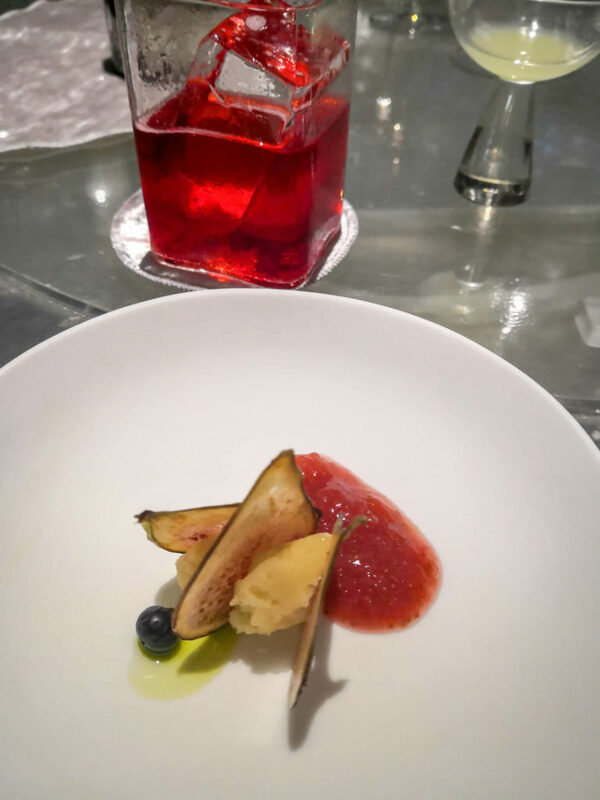 The dish below is peach with tarragon. Ever tried dried paper thin figs? I have. Pine, pine cone & its honey. I’m not going to talk about the finale of the whole Enigma experience, I believe it should be kept a secret because it’s something that is really special to the whole concept and business in general. Was it worth it? Yes. Would I recommend it? Yes. It was long, don’t get me wrong, it was four hours of well coordinated food in an extremely high functioning room full of staff members basically appearing from the walls. We left at 1am and we were so tired because we’d literally just flown into Barcelona, so I’d advise you make a booking about 6-7pm. The food is different but it’s eatable, if I can do it, anyone can because as I said I am an extremely fussy eater.